In 2014 20 Miles More showed why it made great business sense to connect the Liverpool City Region to High Speed 2, the UK’s high-speed rail spine. 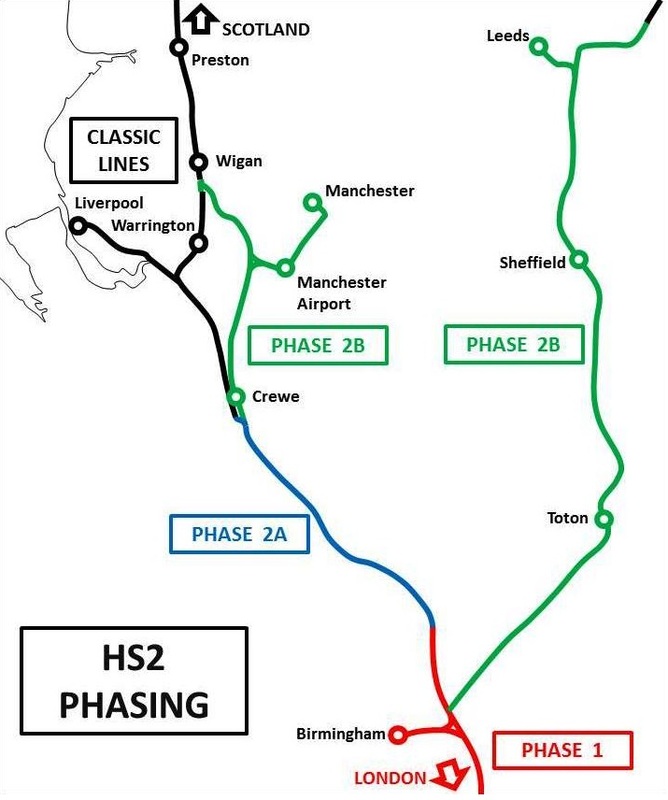 With just “20 Miles more” high-speed track, not only would London and Birmingham be connected to Liverpool, but the first stage of a west to east high-speed rail line linking the cities of the North would also be built. Yesterday it emerged that Transport for the North, the official body for northern transport, is backing the 20 Miles More concept. In 1830 Liverpool invented intercity rail, heralding the modern age. We call upon the Government to rebuild that spirit of enterprise in the North in 2030’s with 20 Miles More. Virgin Trains recently announced record numbers of passengers travelling between London and Liverpool, with 1.77 million journeys in 2016-17 proving HS2’s projections wildly off the mark. HS2’s plans didn’t expect Liverpool to reach this target for another ten years, meaning Liverpool’s services won’t be able to take the strain. In its 20th year of operating the West Coast Mainline, Virgin released passenger figures showing an unprecedented 11.2% annual growth for trips between the capital and Liverpool. This is spectacular growth, especially considering Liverpool has been allocated just one train per hour from London, the lowest frequency of any Core City. Manchester needed three trains per hour before it achieved what Liverpool has managed with one. When 20 Miles More investigated HS2 passenger projections, we found that HS2 expected Liverpool to have the lowest growth of any major city. Yet when we looked at the actual passenger growth figures we found the opposite, Liverpool was growing faster than all comparators, with ten times the growth of Leeds between 2008 and 2010. 20 Miles More submitted this evidence to the Department for Transport in January 2014 in our formal consultation response as evidence that HS2 had fundamentally underestimated Liverpool and the service it required. 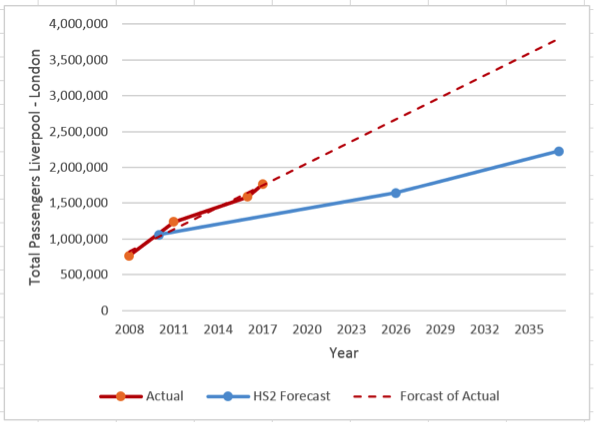 Plotting the trend of Liverpool’s actual growth against HS2 estimates the shortfall of expectations is stark. By 2037 the trend forecasts 3.8m passengers, but HS2 have planned for just 2.2m, that’s just over half of what could be expected. Even with HS2’s low growth estimates, HS2 still expect Liverpool’s trains to be the most crowded on the network. Virgin’s latest announcement adds further evidence that the Department for Transport needs to work with HS2 and Transport for the North to re-plan how to serve Liverpool. 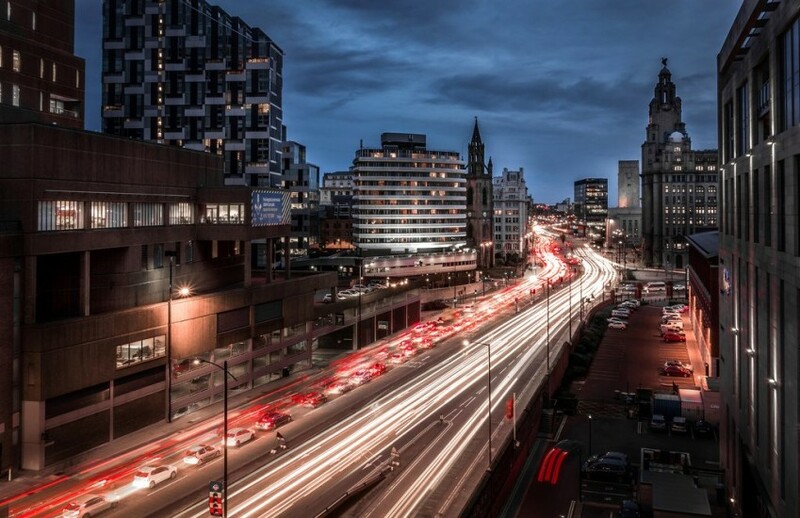 This leaves no doubt that a dedicated high-speed rail link to HS2 is needed so more trains, with shorter journey times, greater reliability and more seats can serve the basic needs of Liverpool and other Core Cities. 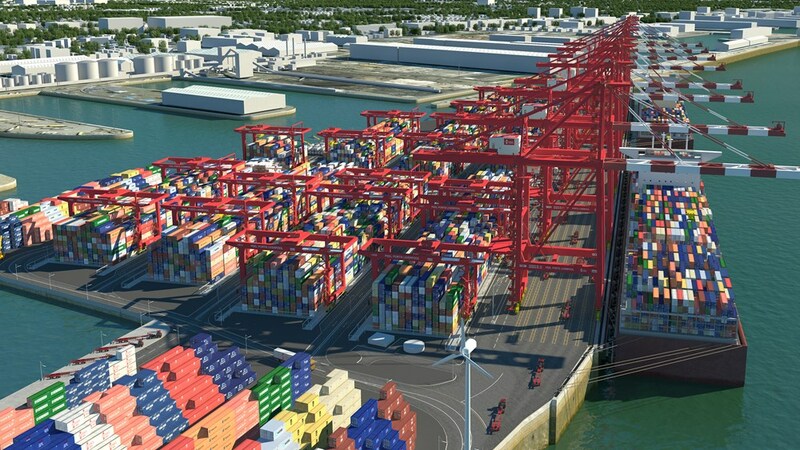 This would link not just London to Liverpool but also Birmingham’s and Manchester’s city centres and airports.